We had the chance to read and review .pdf formats for three of Weigl Publishers Av2 books. Each book includes a digital code to unlock accompanying multimedia content. This includes audio, videos, weblinks, slideshows, and activities. You can access the online multimedia content of the book using a Smart Board, desktop, laptop, and tablet. You must log in. The opening video when you first visit the Av2 website to put in your book code looks really good. It’s a sea turtle swimming, which my kids loved. We received three books to read and review. Two of the books are intended for grades K-2, and one book is intended for grades 3-6. Our family has children who fit these ranges nicely, so we enjoyed reading all of these. The first book I’ll talk about is “A Lion’s World,” belonging to the “EyeDiscover” series. The narration is very slow and clear. This would be very good for an ESL student (I taught ESL in public school for 7 years and this would have been great to have had). The multimedia that accompanies that Lion book shows a lion walking, etc, and you can hear it roaring. These books are designed for about ages 5-7, but I think they are too basic for that age for my own children. The ones we read would be suitable for my children more at a preschool age. My youngest is in kindergarten and is not reading fluently yet – it’s not like she’s super advanced in language arts or anything – but this is so much more basic than the types of books I usually use for that age in homeschool. Caveat: We all love to read, and we read a LOT. YMMV on this one. 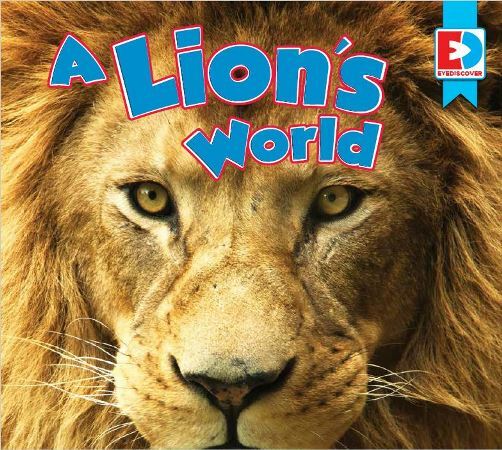 The science content of this Lion book is also very limited compared to what my children usually use in our homeschool. It wouldn’t be nearly enough for kindergarten, and my girls (K and 2nd grade) both wanted more. There are some facts about lions that still wouldn’t be comparable to the science content in any of the kindergarten books in homeschool curricula I’ve used. I just don’t see a lot of scientific educational value in it over just watching a tv program and then also reading a book. There are sight words and content words listed at the end of the book to help you prepare a child for the reading portions and to read the book for themselves. My kindergarten child easily memorizes picture books, and she could confidently recite these. The lists could help you pre-teach and review some of the common words, especially to see if the child can read the words out of context of the story. I think this would be very valuable for students who are learning English as a second language, or for special needs students with language difficulties. I’d love to have some of these books in Chinese or French to use with my children. I saw that the Weigl offers books in Spanish and Arabic. Overall, this is a good book and system, but my children were not the best audience. This story only works in full screen on my computer (I didn’t try any other platforms – we just used my computer to read this story together). You must flash, so depending on your computer or platform that could be a small or large hurdle for you. 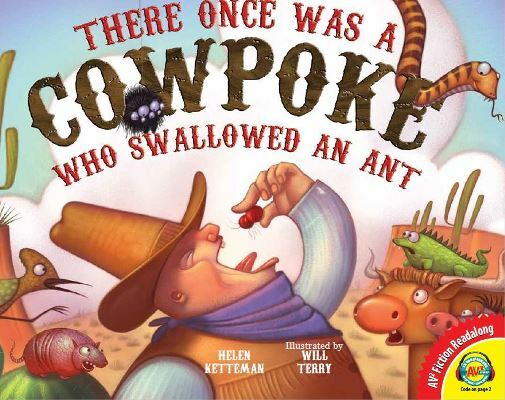 This is a cute story that my younger children laughed at when we read it together. It’s just a read-aloud of the story, there wasn’t a lot of accompanying multimedia to go with it like the two non-fiction titles. The last book is “Glaciers” from the series “Earth’s Water” published under their imprint Lightbox. I had first tried to log in at the same site as the other books, but you must go to openlightbox.com to see this book. The narration of the text is robotic sounding. The videos that go along with it are good quality. There was a video showing a glacier moving, showing glaciologists inspecting a crevasse, a Smithsonian channel glacier flyover, and a video where you go along with a glaciologist over many days so that you can see what he does for a living. The online component allows free exploration. I like a linear path and this is not linear in a way I could be sure we were seeing everything. My kids like free exploration. Children can just click along and see what they’re interested in. There’s a lot of interesting content but I felt like I wasn’t sure what we were missing. FYI, the content is old-earth. Some of the resources were busy work and, like the Lion book, seemed far below the level that my kids are used to for science. I think that the core scientific content would be more on the level of 1st-3rd, and not for children who particularly love science and want to get deep into a topic. There is an experiment in the book to show rising sea levels with melting glaciers and it was similar to what my children have done in first or second-grade homeschool science. Other online resources extended the content of the book and really made it a stronger science component overall, so you could use this with older children but I doubt they would get to that content unless you plan it out for them and guide them through it. I’m guessing that the easier activities are there to pull in students who are on a lower level, or for homeschoolers, to pull in our younger children and include them in the lesson. There are written response activities to go along with the book, such as writing a letter, imagining you’re a glaciologist, or making a chart of glacier size. 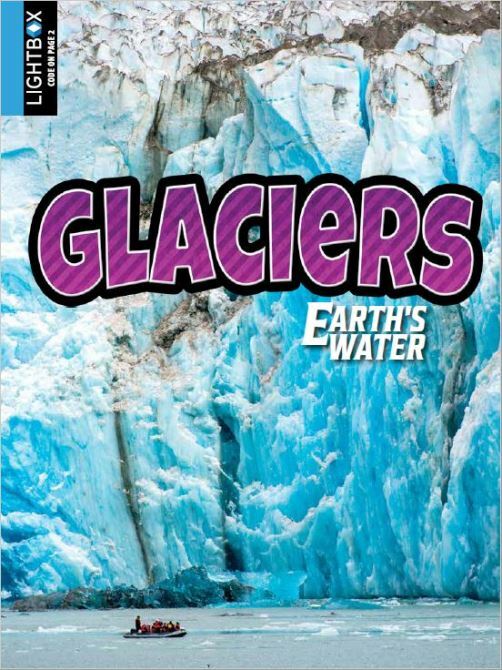 There are a lot of downloadable worksheets to go with the book, and with those and the online resources, you could really make a good unit study about glaciers. If you need to correlate to Common Core standards, there is a sheet that tells you which standards are satisfied by this lesson. The format of this book wasn’t great for us. I tried it on my iPad mini and the print is way too small. I tried it on my laptop and the print was usable for me and my oldest child, but still small. This didn’t work at all for my middle child (2nd grade but a very good reader), who has accommodative estropia (basically a far-sighted condition that causes her eyes to cross if she doesn’t wear glasses). Her condition is managed entirely with glasses and she hasn’t had trouble with other online school-related type websites, but this print was too small for her and it was too fatiguing for her to read this. My 5th grader is near-sighted, and he was sort of ok with it but I saw him leaning forward and squinting. He wasn’t having to blindly zoom in on stuff so it wasn’t as frustrating for him. It was really weird to navigate at first, and we kept getting stuck on the menu, but I figured it out. Maybe this would be ok as a printed book, but it didn’t work as a .pdf for us. You can see how these books worked for other families, too!